This is not a drill, we repeat- this is not a drill! 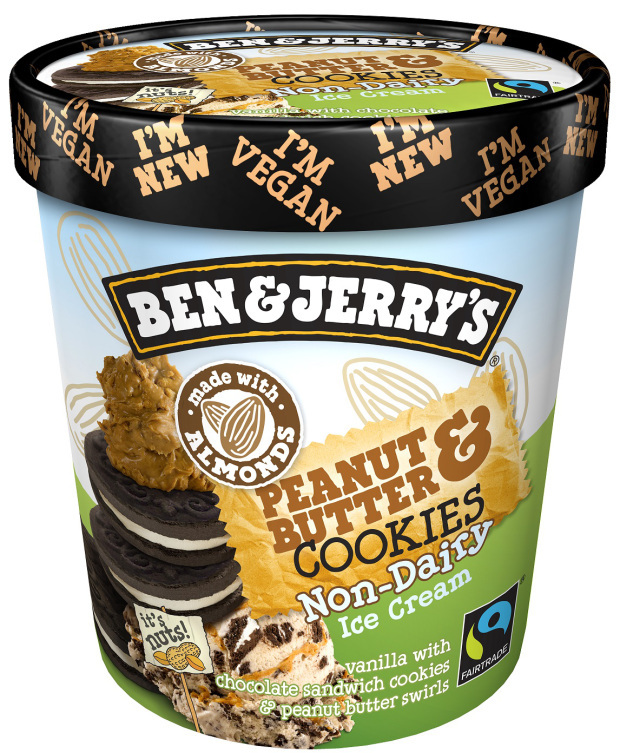 Ben & Jerry’s is NOW officially available in the UK! 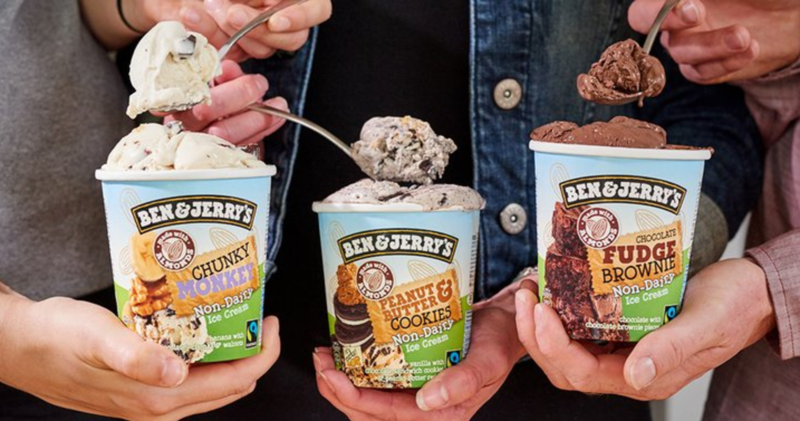 Ben & Jerry’s first announced that it would offer vegan almond milk-based options in June 2015, and officially launched the line in grocery stores and scoop shops throughout the US in February 2016. Unfortunately for those of us in the UK we had to watch from afar whilst our American friends enjoyed their new range of almond-milk based vegan ice-creams. So we’re jumping with joy for joy today as the company have officially confirmed that they are rolling the new flavours out across stores as we speak, and the vegan range will be widely available throughout the UK from the end of the month (September) in all major supermarkets across the country. Click here to find your nearest stockist! Whilst the US currently has a wider range of flavours available, customers in the UK can choose between tubs of Chunky Monkey, Chocolate Fudge Brownie and Peanut & Butter Cookies. 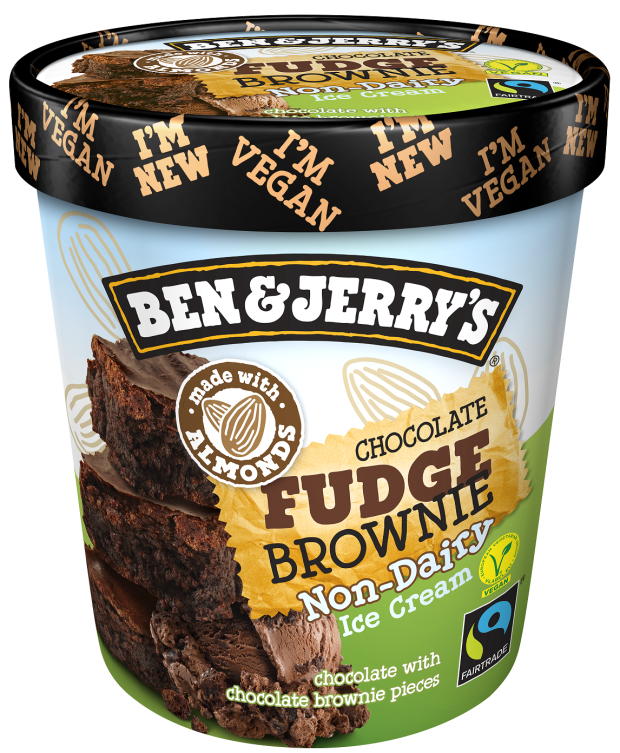 Chunky Monkey is banana non-dairy ice cream with vegan chocolatey chunks and walnuts, whilst Chocolate Fudge Brownie is a vegan version of the much-loved Ben & Jerry’s flavour, made with chocolate non-dairy ice cream and Greyston’s vegan brownies. New kid on the block Peanut Butter & Cookies is vanilla non-dairy ice cream with vegan chocolate cookies and peanut butter swirls. All three are made with almond milk, are Fairtrade and feature the swirls and chunks which Ben & Jerry’s are known for. The three vegan, dairy-free Ben & Jerry’s ice creams cost £5.99 each are rolling out across stores now, and will be widely available from most major supermarkets by the end of September.